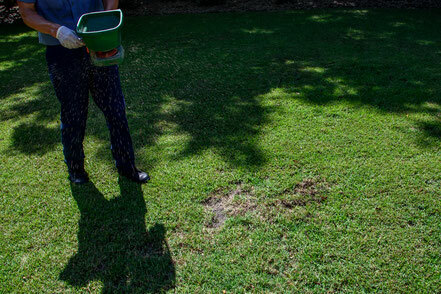 Lawn Insect Control | Orlando Lawn Pest Control - Quality First Lawn And Shrub Care Inc. In Florida, the insects that can damage or even kill your lawn are always present. It is critical to understand the biology and habits of a pest along with what plant they are likely to damage. In many areas, the common Chinch Bug can no longer be controlled with a general insecticide. It is very common for us to start lawns that have been serviced by other companies that still have active Chinch Bugs. The only product that provides 100% control is extremely expensive. Most companies choose to only use it when the standard products have failed resulting in damage. We use the product at the first signs of the pest to insure rapid eradication that minimizes the damage. We also have been told by the manufacturer of a chemical that prevents Sod Web Worm and Army Worm damage that we are the only company in the area that uses it on every single property at the beginning of Worm season. The product works and we have used it for over 4 summers know. The only reason it is not used by other companies is because it is so expensive. A general insecticide easily kills the worms but only after the damage is done. We choose to use every product we find that will reduce the risk of customer damage. 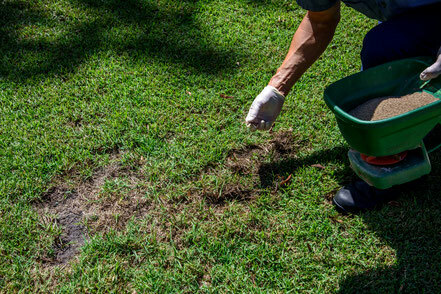 We have found the advantage also comes in the fact that we do not have to respray lawns over and over to control the worms making our practice friendlier to our environment. There are many other products we use to control insects so we can always say we have done everything possible to protect our customers’ investments. There also may be a chance that your lawn is also plagued by disease or fungus, and we offer reliable and affordable options for fighting disease or fungus infestations as well.